(1) These rules may be called the GST Valuation (Determination of Value of Supply of Goods and Services) Rules, 2016. (2) These Rules shall come into force on the day the Act comes into force. 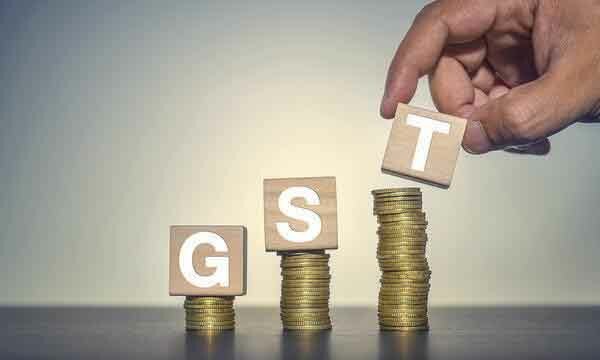 (3) They shall apply to the supply of goods and/or services under the IGST/CGST/SGST Act. (d) “transaction value” means the value of goods and/or services within the meaning of section 17of the IGST/CGST/SGST Act. (2) Words, expressions and terms not defined in these Rules shall have the same meaning as is assigned to them in the Act. (1) Subject to rule 7, the value of goods and/or services shall be the transaction value. (2) The “transaction value” shall be the value determined in monetary terms. (3) Where the supply consists of both taxable and non-taxable supply, the taxable supply shall be deemed to be for such part of the monetary consideration as is attributable thereto. (4) The transaction value shall be accepted even where the supplier and recepient of supply are related, provided that the relationship has not influenced the price. (b) the principal to an agent or from an agent to the principal, whether or not situated in the same State, the value of such supply shall be the transaction value. (6) The value of supplies specified in sub-section (4) of section 17of the Act shall be determined by proceeding sequentially through rules 4 to 6. (1) Where the value of a supply cannot be determined under rule 3, the value shall be determined on the basis of the transaction value of goods and/or services of like kind and quality supplied at or about the same time to other customers, adjusted in accordance with the provisions of sub-rule (2). (d) difference in freight and insurance charges depending on the place of supply. (c) an amount towards profit and general expenses equal to that usually reflected in supply of goods and/or services of the same class or kind as the goods and/or services being valued which are made by other suppliers. Where the value of the goods and/or services cannot be determined under the provisions of rule 5, the value shall be determined using reasonable means consistent with the principles and general provisions of these rules. (1)(a) When the proper officer has reason to doubt the truth or accuracy of the value declared in relation to any goods and/or services, he may ask the supplier to furnish further information, including documents or other evidence and if, after receiving such further information, or in the absence of any response from such supplier, the proper officer still has reasonable doubt about the truth or accuracy of the value so declared, it shall be deemed that the transaction value of such goods and/or services cannot be determined under the provisions of sub-rule (1) of rule 3. (ii) the significantly lower or higher value of the supply of goods and/or services compared to the market value of goods and/or services of like kind and quality at the time of supply; or (iii) any mis-declaration of goods and/or services in parameters such as description, quality, quantity, year of manufacture or production. (2) The proper officer shall intimate the supplier in writing the grounds for doubting the truth or accuracy of the value declared in relation to the supply of goods and/or services by such supplier and provide a reasonable opportunity of being heard, before taking a final decision under sub-rule (1). (3) If after hearing the supplier as aforesaid, the proper officer is, for reasons to be recorded in writing, not satisfied with the value declared, he shall proceed to determine the value in accordance with the provisions of rule 4 or rule 5 or rule 6, proceeding sequentially. Explanation: For removal of doubts, it is hereby declared that this rule by itself does not provide a method for determination of value. It provides a mechanism and procedure for rejection of declared value in cases where there is reasonable doubt that the declared value does not represent the transaction value. (d) receives only the actual amount incurred to procure such goods and/or services. (2) Money Changer.—The value of taxable service provided for the services in so far as it pertains to purchase or sale of foreign currency, including money changing, shall be determined by the service provider in the following manner:- For a currency, when exchanged from, or to, Indian Rupees (INR), the value shall be equal to the difference in the buying rate or the selling rate, as the case may be, and the Reserve Bank of India (RBI) reference rate for that currency at that time, multiplied by the total units of currency: Provided that in case where the RBI reference rate for a currency is not available, the value shall be 1% of the gross amount of Indian Rupees provided or received, by the person changing the money: Provided further that in case where neither of the currencies exchanged is Indian Rupee, the value shall be equal to 1% of the lesser of the two amounts the person changing the money would have received by converting any of the two currencies into Indian Rupee on that day at the reference rate provided by RBI.